Like so many periods of human history, the period examined and illustrated in author Robert J. Glendinning’s new book Early Christianity In Its Song and Verse is rife with conflict: marching Roman legions, the fall of empires, invasions, religious conversions, persecutions, and the clash of reason and faith. Defying conventional wisdom, this work of creative non-fiction uses poetry—the lyrics of ancient Latin hymns—translated into English verse, to tell a story. In Early Christianity In Its Song and Verse, published through FriesenPress, two levels of story-telling create a picture of the world of early Christianity. The tumultuous and dramatic external history of this 1000-year era from CE 300-1300 is outlined in the introductions, notes, and commentary. The interior mind of the era, its spiritual experience, is revealed from the inside in the hymn lyrics composed by those who lived at the time and participated in its struggles. Early Christianity In Its Song and Verse is decidedly user friendly, offering the reader a variety of ways of reading and using the work. Those with little or no previous knowledge of the subject will find in the notes and commentaries information that ranges from very basic to an advanced level. 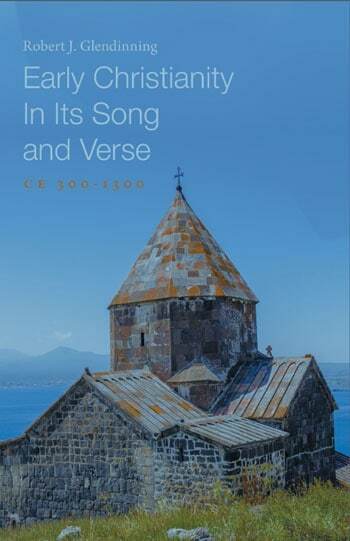 Early Christianity In Its Song and Verse by Robert J. Glendinning is available for purchase from the FriesePress Bookstore, Barnes & Noble and most online retailers. The eBook can also be purchased from Nook, Kindle, GooglePlay and iTunes Bookstore. Canadian academic Robert Glendinning obtained his BA and his MA degrees at the University of Manitoba in Winnipeg, Canada, and his PhD at the University of Freiburg, Germany. He was a member of the Department of German and Slavic Studies at the University of Manitoba until his retirement in 1996. Attendance is open to all and free, but booking by Wednesday 8 June is essential. Lunch each day will cost £10, to be paid on the day. M.W. Patterson’s book A History of the Church of England is now a available for free download in PDF. It covers English Church history from the arrival of the first missionaries up to the Victorian era (when the book was written). The book became public domain last year. M.W. 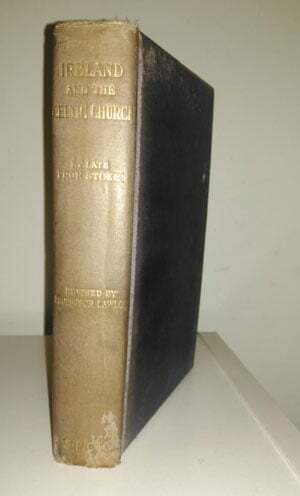 Patterson [1873-1944], A History of the Church of England. London: Longmans, Green & Co., 1929. Hbk. pp.457. Click to download. The New Learning and the Early Years of Henry VIII. The Reformation Under Henry VIII. One of the fruits of a visit to Book Aid over the Christmas holiday was the following book on the history of the Celtic Church in Ireland. It contains 17 lectures on St. Patrick, St. Columba, Columbanus and the Pascal controversy by George T. Stokes. Stokes was Professor of Ecclesiastical History at the University of Dublin. The full text, being in the Public Domain, is now available for free download in PDF. George T. Stokes [1843-1898], Ireland and the Celtic Church. A History of Ireland From St. Patrick to the English Conquest in 1172, 6th revised edn. 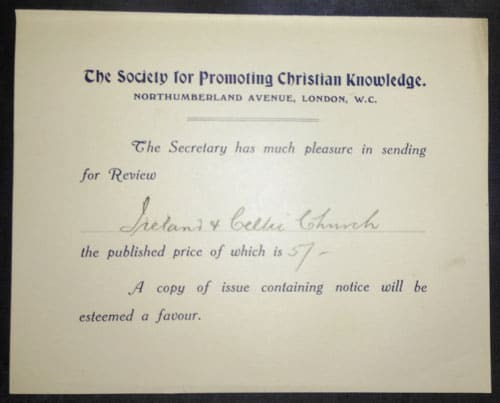 London: SPCK, 1907. Hbk. pp.382. Click to download it here. As you can see, this indicates that the book was originally sent as a review copy. However, as many of the page-edges were still uncut, I would deduce that it was never read and that a review was not written. So, this is the first time that this copy has been fully opened since it was published 1907! Hopefully it will be read by many people now. Perhaps someone could please add a link to the online version of the book to Prof. G.T. Stoke’s Wikipedia page? William Bright [1824-1901], Chapters of Early English Church History, 2nd Edition. Oxford: Clarendon Press, 1888. Hbk. pp.476. The beginning of British Christianity unknown; No proof of an Apostolic visit; Story of Lucius; Tertullia.n on British Christians; First Mission probably from Gaul; St. Alban; British Bishops at Council of Arles; Few traces of British Church; Its orthodoxy; St. Ninian; Pelagianism in Britain; Britons appeal to Gallic Church; Mission of German and Lupus; Discussion with Pelagians; German and Lupus at Verulam; The Allelnia Victory; Second visit of St. German; The Saxon Conquest; Sufferings of Britons; Condition of British Nation and Church; ‘Increpations’ of Gildas; British Church Ritual; British Colleges and Synods; Missionaries and Saints; Dubricius and David; Flight of British Bishops; What opening for a Mission! Gregory the Great; The Church and Slavery; Gregory and the English boys; Gregory becomes Pope; His plans for an English Mission; Ethelbert and Bertha; Augustine and his companions; Misgivings silenced by Gregory; His commendatory letters; The Missionaries in Gaul; They land in Kent; Augustine before Ethelbert; Ethelbert’s reply; Augustine enters Canterbury; Life of Missionaries in Canterbury; Baptism of Ethelbert; Death of St. Columba; Consecration of Augustine; Foundation of Canterbury Cathedral; Messengers sent to Gregory; Gregory’s answers to Augustine’s questions; His view of the Popedom; Question of Miracles; Scheme for Bishoprics; Letters to Ethelbert and Bertha; Treatment of Pagan Temples; Arrival of Mellitus and his companions. First Conference with British Bishops; Question of Easter; Questions of Baptismal Rites and Tonsure; Second Conference; Advice of the Hermit; Augustine’s terms rejected; His prediction; Battle of Chester; Bishopric of London; Bishopric of Rochester; ‘Church and Realm’ in Kent; Liturgical arrangements; Monastery of SS. Peter and Paul; Date of Augustine’s death; Consecration of Laurence; Archbishopric fixed at Canterbury; Character of St. Augustine; Overtures to the Irish Church fail; St. Columban; His Celtic tenacity; Renewed overtures to Britons fail; Dedication of SS. Peter and Paul’s; Eadbald rejects the Faith; Mellitus expelled from London; Story of Laurence’s dream; Conversion of Eadbald; Redwald’s compromise; Edwin in exile; His mysterious visitant; Edwin, King of all Northumbria; Mellitus, Archbishop; Disappointment of early hopes for the Mission; Paulinus sent to Northumbria. Character of St. Aidan; His work as Bishop; His relations with Oswald; His charity and boldness; His ‘error’ as to Easter; Church-work under him; Mission of St. Birinus; He preaches in Wessex; Baptism of Kynegils; Birinus, Bishop of Dorchester; Erconbert, King of Kent; The Family of King Anna; Battle of Maserfield; Death of St. 0swald; Reverence for his sanctity; Anxiety caused by his death; Oswy, King of Bernicia; Exile and conversion of Kenwalch; He regains his crown; Church of Winchester founded; Learning in Ireland; Agilbert in Wessex; Oswin, King of Deira; His murder; Honours to his memory; Nunneries in Northumbria; Death of Aidan. Tuda, Bishop of Lindisfarne; The ‘ Yellow Pest’; Apostasy of East-Saxons; Cuthbert, Prior of Melrose; Wilfrid elected to York; Consecration of Wilfrid in Gaul; His return from Gaul; Consecration of Chad; Third Mission to East-Saxons; Simony of Wini; Wilfrid in Mercia and Kent; Election and death of Wighard; Pope Vitalian’s letter; Theodore chosen for Canterbury; Monothelite Controversy; Consecration of Theodore; Theodore in Gaul; His arrival at Canterbury; His character; His reception in England. East-Anglian diocese divided; Queen Etheldred; Foundation of Ely; Disorders at Coldingham followed by ruin; Deposition of Winfrid; Erkenwald, Bishop of London; Aldhelm, Abbot of Malmesbury; Heddi, Bishop of Winchester; Design for a Monastery at Abingdon; Mercian Invasion of Kent; Putta at Hereford; Cuthbert, Prior of Lindisfarne; He retires to Farne; His Hermit-life; Foundation of Wearmouth; Ceolfrid; Hilda at Whitby; Credmon. Beginning of Wilfrid’s troubles; Theodore and Egfrid; Division of Northumbrian diocese; Wilfrid’s appeal to Rome; Views of Roman See taken by Wilfrid, and by English Church in general; Seizure of Bishop Winfrid; Wilfrid in Frisia and Lombardy; Council of Rome; Return of Wilfrid; Roman decree rejected by Egfrid; Imprisonment of Wilfrid; His release; His stay in Mercia; He withdraws into Sussex; State of the South-Saxons; Wilfrid converts them; His Episcopate at Selsey. Mercian diocese divided; Saxon Monastery at Glastonbury; Mission of John the Precentor; Council of Hatfield; Question of Double Procession; Death of John the Precentor; Death of St. Hilda; Bishopric at Abercorn; Foundation of Jarrow; Bede; Invasion of Ireland; Assembly at Twyford; Cuthbert, Bishop of Lindisfarne; Egfrid attacks the Picts; Cuthbert at Carlisle; Battle of Dunnechtan; See of Abercorn abandoned; Aldfrid, King of Northumbria; St. Cuthbert’s Episcopate; His Visitations; He returns to Farne; Cuthbert’s last days; His death; Death of Easterwine; Benedict’s last return from Rome; Cad walla and Wilfrid; Cadwalla, King of Wessex; Conquest of the Isle of Wight; Conversion of its people; Theodore reconciled to Wilfrid; Wilfrid restored to York; The first compromise; John, Bishop of Hexham; Eadbert, Bishop of Lindisfarne; Death of Benedict Biscop; Cadwalla. goes to Rome; Baptism and death of Cadwalla; Ine, King of West-Saxons; Death of Theodore. State of Church and Kingdoms at Theodore’s death; Laws of King Ine; Renewal of Wilfrid’s troubles; Questions for Wilfrid; Wilfrid in Mercia; Missions to Frisia; St. Willibrord; Swidbert, Missionary Bishop; Martyrdom of the Hewalds; Willibrord’s Episcopate; Bertwald, Archbishop of Canterbury; Death of St. Erkenwald; Death of King Sebbi; Egwin, Bishop of Worcester; Laws of King Wihtred; The ‘Privilege’ of Wihtred; Guthlac at Crowland; Foundation of Evesham. Aldhelm’s letter to Geraint on British Easter and Tonsure; Gradual surrender of Celtic Easter; Daniel, Bishop of Winchester; Aldhelm, Bishop of Sherborne; Church-work in Wessex; Death of Aldhelm; Complaint against Bede; Wilfrid’s last arrangements; His journey into Mercia; His death; Retrospect. Caterina Bruschi, The Wandering Heretics of Languedoc. Cambridge: Cambridge University Press, 2012. Hbk. ISBN-13: 9780521182270. pp.232. How should historians read sources which record inquisitorial trials in the Middle Ages? How can we understand the fears felt by those on trial? 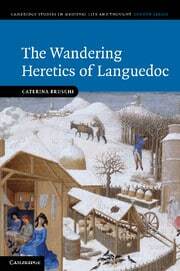 By analysing six volumes of depositions in the trial of Cathar and Waldensian heretics in Languedoc between the late twelfth and the fourteenth century, in this 2009 book, Caterina Bruschi challenges old methodologies in the study of dissent. She examines the intrinsic narratological problems related to the sources and, using approaches from the social sciences, analyses the different fears felt by deponents and how those fears affected their actions and decisions. In so doing, she sheds light on itinerancy within the ecclesial structure of non-conformist movements and contextualises the problem of itinerancy as a benchmark for the definition of heresy. Focusing on the lives and attitudes of trial witnesses, this innovative account is a major contribution to our understanding of the nature of religious non-conformity in the Middle Ages. Victor Verney, Warrior of God. 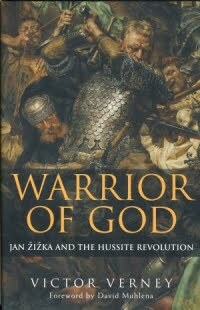 Jan Zizka and the Hussite Revolution. London: Frontline Books, 2009. Hbk. ISBN: 978-1-84832-516-6. pp.240. When I was first offered a review copy of this book I was somewhat surprised, because the publisher specialises in military rather than religious history. Having read the book I would have to say that it would be a great shame if this meant that those interested in medieval and reformation history overlooked it because of its publisher. The book covers the life of Jan Zizka, a man instrumental in the survival and the success of the Hussite revolution in Bohemia following the martyrdom of Jan Hus. The introductory chapter places the story of the Hussites in the larger context of the political and religious turmoil of the 14th Century, while chapter one introduces Zizka and explains the significance of his military innovations. Zizka proved to be a genius at utilising whatever was at hand in warfare. At this time the significant role in battle was conducted by opposing knights. These engaged one another on horseback as they saw fit and the peasant infantry served mainly to be mowed down by the cavalry. Faced with a situation where his forces consisted almost entirely of peasant infantry Zizka equipped them by converting their wagons into mobile fortresses and (literally) turned their pruning hooks into swords and a variety of vicious clubs and other weapons. Faced with Zizka’s battle wagons drawn up in formation strategically utilising the terrain, cavalry charges proved useless and knights were forced to dismount and attack on more equal terms with their opponents. In such circumstances the knights were invariably routed. These military assaults came from without, in the form of the five anti-Hussite Crusades, and from within as divisions in the Hussite cause led to discord and civil war. The brutality of these wars – on all sides – was incredible and one has to remind oneself that the Hussites were literally fighting for their lives as their “heresy” was a capital offence. Through Zizka’s leadership the Hussite armies finally subjugated almost all of of Bohemia and after his death invaded Moravia and Austria. Victor Verney does a splendid job of translating the incredible complex events of this period into an engaging account that is a delight to read. He describes the origins of the various Hussites sects, the Orebites (Orphans), Taborites, Pichards, Adamites, etc. in such as way that one is able to understand clearly the historical and religious context of each. In summary, I would like to highly commend this book to anyone interested in medieval and reformation history and hope that it becomes required reading on all courses dealing with these subjects. A. Skevington Wood, “Nicholas of Lyra,” Evangelical Quarterly 33 (1961): 196-206. The idea that the first three days describe the acts of creation, separation and adornment has a much longer history. It is mentioned by Martin Luther in his Lectures on Genesis, but Luther disregarded it because in his opinion it did not appear to fit the facts. He referred those interested in such trivia to the work of Nicholas de Lyra (c. 1270-1349) on Genesis, to whom Luther himself was heavily indebted. Patrick Sookhdeo, Islam. 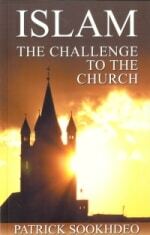 The Challenge to the Church. Pewsey: Isaac Publishing, 2006. Pbk. ISBN: 0954783549. pp.125. The Word “Islam” means “peace”. Islam is a religion of peace and there are many verses to prove this in the Qur’an. The real difference between Christianity and Islam lies in the core issues of their sacred writings and the persons of their founders. Christians have frequently in their long history departed from Christ’s teachings and perpetrated cruelties against Jews, Muslims and heretics. However, when returning to their source scriptures they come face to face with the person of Christ and the Gospel of love and forgiveness he preached, as well as his atoning death and supreme example of humility, service, suffering and non-violence. When Muslims return to their original sources, they have a very different encounter. The later dated verses of the Qur’an, revealed to Muhammad in Medina, contain much that is intolerant and belligerent. According to the most commonly followed doctrine of abrogation, later verses supersede earlier (more peaceable) verses dating from his days in Mecca. Muslims also meet Muhammad, whose words and actions, recorded in the hadith, give many clear examples of aggression, warmongering, even what in modern terminology appear to be assassination, torture and genocide. Some Muslims will argue that these actions were for a particular context only, but the fact remains that they occurred. Setting up Muhammad as the supreme example in every aspect of his words and actions, nece­ssitates transforming his vices into virtues. This is the real cause of the contradictions so prevalent in Islamic soci­eties and Islamic history, especially on issues relating to jihad, the treatment of women, and the contempt shown to non-Muslims. Having made this comparison, it should be added that another vital difference is the relative importance of the founder and of the scriptures. The Christian faith is ulti­mately a relationship with a Person, but Islam is focused on the authority of a book. Dr Sookhdeo concludes the chapter by refuting the claim that Islam, along with Judaism and Christianity are the three Abrahamic faiths. To say that they are is to accept the muslim’s claim that Islam is the final and purest revelation. This chapter outlines the use made by Muslims of the Law, the media, politics and our education system in order to further their aims. There are helpful sections on the position within Islam of women and non-muslims living in an Islamic society (Dhimmi). Good relations between Christian and Muslims are seriously hampered by Islam’s teaching about the correct way to treat unbelievers. hospitality and gifts may be given by Muslims, but not accepted from Christians. The dangers of allowing Muslims to address churches are outlined, as are those arising from allowing muslims to use church buildings for Friday prayers and inter-faith marches of witness and giving to Islamic charities. Conversion from Islam to Christianity can have severe – sometimes fatal – consequences, even in the UK. This has implications for how church’s support new believers and their families. I am continually surprised at how naive many Christians in the UK are about the teachings and practice of Islam. Dr Sookhdeo has done us a great service in producing a brief but authoritative summary of the ways in which Islam is a challenge to the church and how it can respond to these challenges. It is a book that every Christian should read.